A new report from Experian, one of the three credit reporting agencies, underscores how student loan debt is negatively affecting a sizable segment of consumers. New York Attorney General Andrew M. Cuomo has reached a settlement with a student loan consolidation company specializing in the direct marketing of student loans -- the first such settlement in this growing segment of the student lending industry. A four-month investigation found that Clearwater, Florida-based Student Financial Services Inc. (SFS), which also operates under the banner of University Financial Services (UFS), had agreed to pay some of the nations top universities, school athletic departments, and sports marketing firms for generating loan applications, in a kickback scheme euphemistically known as revenue sharing. The company had contracts at 63 colleges nationwide, 57 of which are National Collegiate Athletic Association (NCAA) Division I schools. Under these agreements, the company also paid for the rights to use school names, team names, colors, mascots, and logos to advertise their loans directly to students. This practice, known as co-branding, was intended to imply that the company was the official lender of the school, or that it was actually a part of the school. Schools, athletic departments, and sports marketing firms made these agreements without evaluating the quality of the loans. When lenders use deceptive techniques to advertise their loans, they are playing a dangerous game with a students future, said Cuomo. 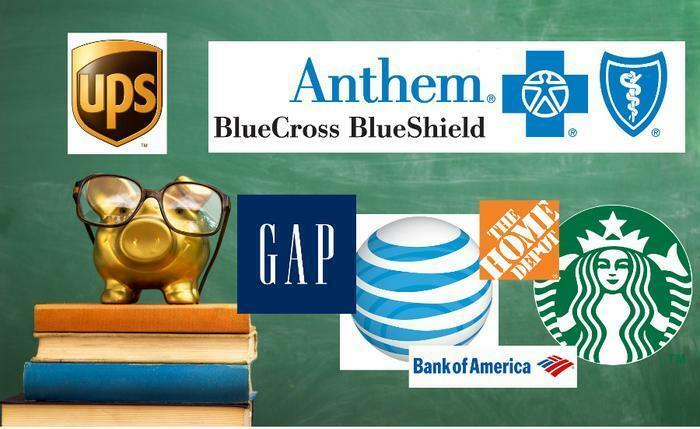 Student loan companies incorporate school insignia and colors into advertisements because they know students are more likely to trust a lender if its loan appears to be approved by their college. "We cannot allow lenders to exploit this trust with deceptive, co-branded marketing. A student loan is a very serious financial commitment, and choosing the wrong loan can lead to devastating consequences, he said.  End the practice of cash-based inducements, including paying students up to $50 to refer their peers to the company and encouraging students to apply for SFS loans by creating contests where they could win up to $1,000. Also under the settlement, SFS has agreed to adopt a new Code of Conduct that prevents false and misleading direct loan marketing to students. The Code expressly prohibits lenders and marketers from buying rights to a college or universitys name, team name, colors, logo, and mascot for loan marketing purposes. It also requires lenders and marketers to provide important disclosures to students in connection with loan transactions and prohibits a variety of misleading and deceptive practices identified by the investigation of the industry. The rising total of student loan debt has been well documented. At last count it is more than $1.2 trillion, according to the Consumer Financial Protection Bureau (CFPB). Once used mostly to offset the high costs of medical and law school, student loans have now become a routine tool used to finance many undergraduate degrees. Students who don't carefully plan their financing and follow a strict budget can end up with tens of thousands of dollars in loan liabilities, limiting what they can spend on other things as they begin their careers. One area where students make a mistake, early in their college careers, is in the way they use the money they have borrowed. Eric Adamowsky, co-founder of CreditCardInsider.com, says students should only spend borrowed money on things directly related to education. “A lot of students end up taking out additional loans for room and board, so they can live in a nicer place or to have spending money,” he said. “But the basics -- tuition, room and board and books -- that's where student loans should be used. It's also a good idea to set a “ceiling” for student loans. Most experts recommend borrowing no more than you expect to make in your first year on the job after graduation. Another mistake sometimes occurs before students even arrive on campus. They simply select a school they can't really afford. Sometimes students eager for “the college experience” pass up their most cost-effective option. As long as the school where you want to end up accepts the credits, a community college or in-state university can be an ideal place to take your required courses, at a much lower cost per credit hour. Averaged over four years, it lowers the cost of a college education. Also, you're more likely to get into the college of your choice if you wait and transfer in for the last year or two. Some states even guarantee that in-state students who complete two years of community college can attend the state university of their choice for the last two years. Because schools have different deadlines for financial aid and processing takes time, completing your Free Application for Federal Student Aid (FAFSA) is a crucial first step when you need to borrow for college. Adamowsky says it should be done in January, the earlier the better. “Many schools have different deadlines but more importantly, there are actually a number of states that serve FAFSA applicants on a first-come, first-served basis, so the faster you can complete and submit the application, the better,” he said. Adamowsky says federal-backed student loans are the best you’ll find in terms of interest rate, grace period, and flexible repayment plans. Because who qualifies and how doesn't can be a complicated matter, he says everyone should apply, rather than just assuming their family makes too much money. Finally, students err by underestimating the longterm effects of student loan debt. Borrowing over a four-year period, it is easy to lose sight of your total debt, leaving you with a debt the size of a small mortgage at graduation. “Guidance counselors and parents can be more proactive in helping students understand what it means to run up a large student loan debt and how that debt will measure up against what potential jobs pay,” Adamowsky said. Before beginning the student loan process students should determine the total amount they will need to obtain a degree. Your repayment plan for student loans should be as strategic and aggressive as for any debt you carry—especially if you have income left at the end of the month to put towards it. Many people connect the company Xerox with office supplies, printers, and other products of that nature. However, the company does provide other services; back in 2009 it acquired ACS and has been operating as a lender of student loans through Xerox Education Services (XES). The toll of student loan debt in the U.S. now exceeds $1.2 trillion, according to the Consumer Financial Protection Bureau (CFPB), and is a growing cause for concern among economists and policymakers. The concern is potential default, creating a wave of repercussions that could set off a new credit crisis, potentially worse than the one created by the foreclosure tsunami. Many former students still paying off their student loan balances work in public service jobs that typically have low salaries. Congress has approved measures to forgive some debt for these consumers but the programs have not been well publicized. The CFPB is trying to raise awareness, creating a toolkit to offer practical advice to public sector employers and employees, advising that an early start can make the difference of thousands of dollars. By CFPB estimates, as many as 25% of U.S. workers may be eligible for some form of student debt forgiveness. Eligible employees work for government agencies or non-profits and include teachers, librarians, first responders and some healthcare professionals. To qualify for the forgiveness program, your loans much be federal, and a certain kind of federal, and cannot be private. Second, you must make 120 qualifying payments on those loans while employed full time by certain public service employers. That's 10 years of payments while working in the public sector. According to the U.S. Department of Education, only loans you received under the William D. Ford Federal Direct Loan (Direct Loan) Program are eligible for this program. Loans you received under the Federal Family Education Loan (FFEL) Program, the Federal Perkins Loan (Perkins Loan) Program, or any other student loan program are not eligible. However, your FFEL or Perkins loans may be consolidated into a Direct Consolidation Loan to gain eligibility. But only payments you make on the new Direct Consolidation Loan will count toward the required 120 qualifying payments for loan forgiveness. Payments made on your FFEL Program or Perkins Loan Program loans before you consolidated them, even if they were made under a qualifying repayment plan, do not count. Even with these limitations, the CFPB believes millions could benefit if they only were aware of the program. It's reaching out to public sector employers first, urging them to inform their employees about their options. The toolkit provides a guide for employers to assist their employees with verifying their eligibility and steps they need to take to qualify. Meanwhile, some in Congress are promoting additional legislation to ease the debt burden on college graduates. 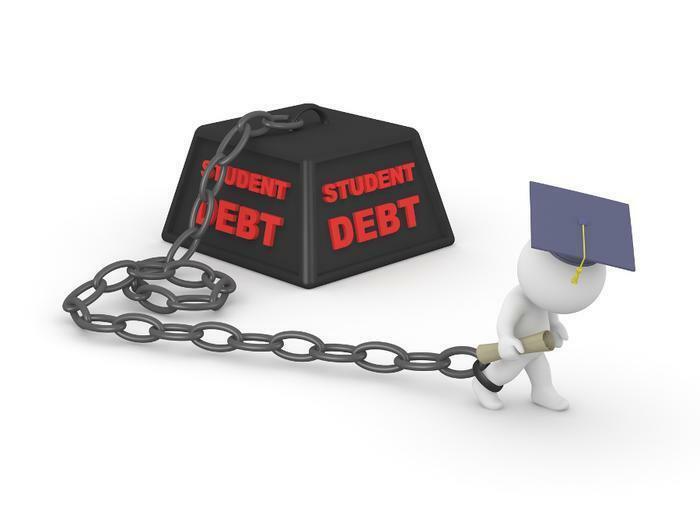 Rep. Karen Bass (D-CA) is calling for a new federal student loan repayment system that would alleviate the financial burden on college graduates as they begin their careers. “By creating an equitable system to ease student loan debt we can lessen the financial impact on the next generation while jumpstarting the economy, creating jobs and promoting financial responsibility for higher education,” Bass said in a post on her website. She's backing the Student Loan Fairness Act. a combination of two bills that died in the 112th Congress – The Student Loan Forgiveness Act (H.R. 4170) and The Graduate Success Act (H.R. 5895). The new bill would establish a new 10-10 standard for student loan repayment. In the “10-10” plan, an individual would be required to make ten years of payments at 10% of their discretionary income, after which, their remaining federal student loan debt would be forgiven. American Student Assistance, a non-profit, is also heavily involved in promoting ways for graduates to shed some of their student loan debt. The group recently published “60 Ways to Get Rid of Your Students Loans Without Paying Them,” a title that may stir more interest than the CFPB's toolkit. 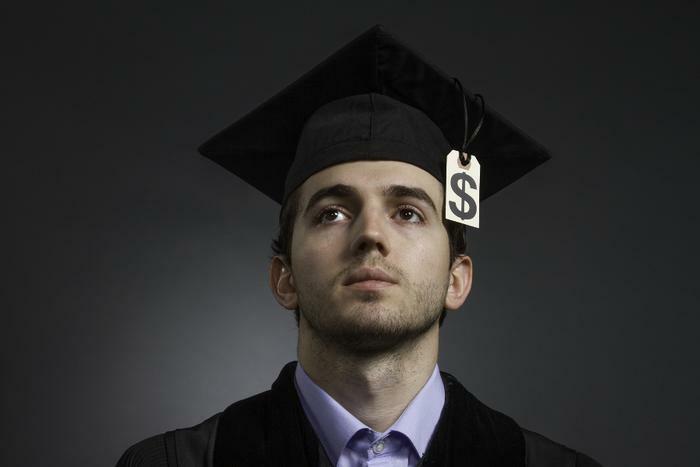 The epidemic of student debt has led to any number of bogus debt relief schemes. 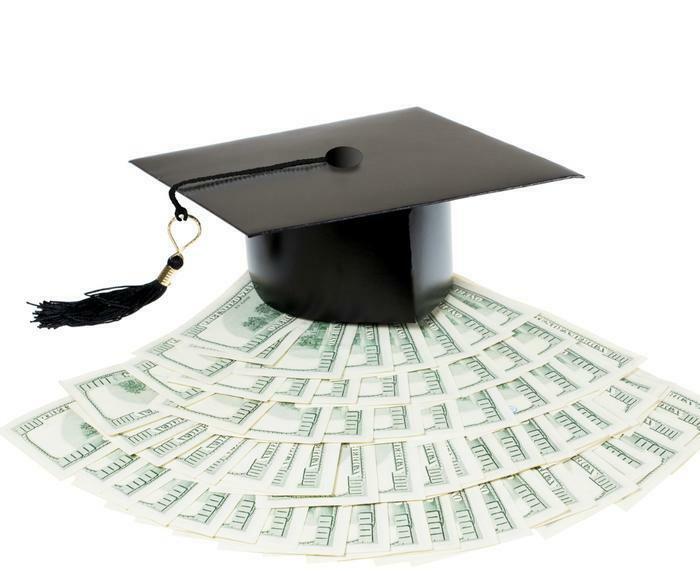 The Federal Trade Commission (FTC) and the state of Florida last week took action against two allegedly phony student debt relief schemes, and defendants in a similar FTC action filed earlier this year have agreed to get into another line of work. College loan debt has become a hot button issue in America. The Consumer Financial Protection Bureau (CFPB) puts the outstanding loan balance well beyond $1 trillion, miring millions of consumers in debt. The conventional wisdom is that all these people struggling to pay off student loans are young people – recent college graduates. They're not. What we know about student loan debt is sobering enough. 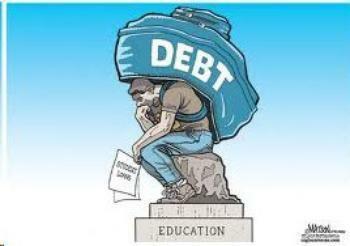 "The average student loan debt for a U.S. graduate of the Class of 2013 was $28,400, according to the Project on Student Debt," said Deborah Figart of the School of Education, at The Richard Stockton College of New Jersey. "Each month, young adults are burdened with 25% to 30% or more of their net pay dedicated to student loan debt." The total outstanding student loan debt in the U.S. has now surpassed $1.2 trillion. A September 2014 report by the credit bureau Experian found student loans in the U.S. had surged 84% since the Great Recession, with more than 40 million consumers having at least 1 student loan. It's a debt burden that many recent graduates – and especially those who left school before graduating – cannot easily bear. In its Project on Student Debt, the Institute for College Access & Success reports that more than 650,000 federal student loan borrowers who began repaying their loans in 2011 had defaulted by 2013. The institute reported that students who attended for-profit colleges had a much higher average default rate than other types of schools: 19.1%, compared to 7.2% at nonprofit colleges. Behind those statistics are specific horror stories. Figart says she has heard from graduates with tens of thousands of dollars in interest-accruing debt but are earning minimal wages. She's heard from law school graduates who can't get a license to practice, despite passing the necessary bar exams, because of a bad credit record. She says there are restaurant school graduates hoping to become chefs but earning a fraction of what they owe for their degree peeling potatoes. While the Experian report shows 40 million consumers with at least 1 student loan, Figart says the reality is actually worse. She says the average student has around 8 to 10 loans and the total student debt far outweighs the nation's total credit card bills. The answer, Figart says, is giving prospective college students full and transparent advice before they take out loans for an education that will follow them from campus to the workplace. She says the federal "Know Before You Owe Private Student Loan Act" does not go far enough in several ways and so also fails to protect students from debt. Figart has taught financial and economic literacy to students and teachers, covering subjects related to budgeting and consumer debt. And, while some states require courses to include a component related to budgeting and finance, she contends too many students are "falling through the cracks." The solution? Figart says students must be counseled in topics like loan repayment options, average salaries for a wide range of jobs, suggested debt-to-income ratios, and the likely consequences of defaulting on loan repayments. There is an alternative to running up tens of thousands of dollars in student loan debt in pursuit of a college degree. All you have to do is work for a company that will pay your college tuition for you. Companies routinely sweeten their benefits package to attract and retain good employees. Providing excellent health coverage is a highly prized perk. So is a college education and more companies are responding by offering partial or full tuition aid as an incentive. Healthcare benefits provider Anthem is the latest, just announcing a partnership with Southern New Hampshire University (SNHU) to make an associate's or bachelor’s degree available at no charge to any of its eligible full-time or part-time employees. Participating Anthem employees will work through SNHU's College for America, which specializes in working with employers to offer competency-based, online curriculum designed to help adults earn a college degree while they are holding down jobs. What makes this an ideal alternative for debt-averse students is you don't even have to work full-time. As long as you work 20 hours per week you can earn a degree at no cost. SNHU is an old private not-for-profit university with an idyllic campus setting in Manchester, N.H. But more than a decade ago SNHU embarked on an ambitious online education curriculum targeting working adults, offering credit for experience already gained in the workplace. SNHU's College for America partners with more than 65 other U.S. employers who help their associates achieve a college degree, either through full or partial tuition reimbursement. And it isn't alone. Starbucks is partnering with Arizona State University's online program to cover the costs of its employees' – it calls them partners – ASU degree. Under the program the student seeks any financial aid he or she may be eligible to receive and Starbucks takes care of the rest. Other companies that include at least partial tuition aid to employees include AT&T, Bank of America, Best Buy, Gap, Home Depot, UPS and Verizon Wireless. Maybe the whole idea of what it means to go to college is changing. Living in a lavish dorm, roaming an ivy-covered campus and enjoying a college social life carries a steep price tag, and increasingly it's a price that can be avoided, along with the debt hangover that usually follows. Earning money while having your tuition paid by your employer might not just make economic sense, it could advance you toward your career while earning a degree. There's a lot of hand-wringing over rising levels of student debt but Congress, so far, has been unable to figure out a way to keep new loans from becoming more expensive. A law subsidizing the Stafford Loan rate at 3.4% expires at the end of June. Starting July 1, 2013 the rate jumps to 6.8% on new loans – much higher than the interest rate on a home or car purchase. There's a measure in Congress to extend the subsidized rate for two years. Democrats generally support it but Republicans generally oppose it as too costly. Its backers concede the stalemate. Stafford Loans are federal student loans to college students pursuing an undergraduate or graduate degree. They are intended to supplement personal and family resources, as well as aid from scholarships, grants and work-study. With the expiration of the law, the Stafford Loan will go from one of the cheaper college loans to one of the more expensive ones. The Consumer Financial Protection Bureau (CFPB) has recently focused attention on the issue of student loans, warning they are burdening a generation with oppresive debt. The agency provides an online tool to help prospective students compare loans and find the best deal. 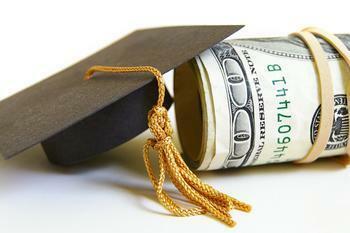 According to CFPB, most students will find federal loans to be the best option. When it comes time to pay back federal loans, the interest rate will be fixed, which will help you predict your payments after graduation. In some cases, the federal government will pay the interest on your loans while you are in school, with subsidized loans. Other student loans are generally offered by private companies or entities. The most common private student loans are offered by banks. Their interest rates are often variable, which means it's hard to know what your interest rates and payments will be. Private loans can also be more expensive. According to a report by CFPB, private loan rates have been as high as 16% over the past couple of years. When it is time to repay, private loans often don’t offer as many options to reduce or postpone payments. Natasha, of Austin, Tex., completed work on her undergraduate degree in four years with the help of a $25,000 student loan from Wells Fargo. She says she was shocked by the interest charges. Chrystal, of Florence, S.C., says she got an associates degree from Strayer University that turned out to be much more costly than she thought. They do, indeed, add up fast. The total student debt total in the U.S. is now well in excess of $1 trillion. There is more than $1 trillion in student loan debt in the U.S. By and large, the young consumers carrying this load are doing so at the most vulnerable point in their financial lives. They are just starting their careers. If they are lucky, they have a job. In most cases, however, their salaries are on the low end. Yet a big chunk of their paycheck goes to making payments on their student loans. President Obama took this concern to Georgia Tech this week, where he told students that, as valuable as a college education is, paying for it has become a crushing burden. Obama signed a “student aid bill of rights” designed to make the student loan repayment process easier to understand and manage. “We're going to require that the businesses that service your loans provide clear information about how much you owe, what your options are for repaying it, and if you're falling behind, help you get back in good standing with reasonable fees on a reasonable timeline,” Obama told the students. Just as with any other loan, such as a car payment or mortgage, you need to make payments to your loan servicer, the entity that loaned the money. Each servicer has its own payment process, so you should check with your servicer if you aren’t sure how or when to make a payment. Remember, it's your responsibility to stay in touch with your servicer and make your payments, even if you do not receive a bill. You don’t have to begin repaying most federal student loans until after you leave college or drop below the minimum requirement of half-time enrollment. The exception is PLUS loans, whose repayment begins once you have received the full amount of your loan. Your lender is required to provide you with a loan repayment schedule that details when your first payment is due, the number and frequency of payments, and the amount of each payment. Your loan may have a grace period that gives you a little extra time before starting the repayment process. The grace period gives you time to get your feet under you financially and to select your repayment plan. Not all federal student loans have a grace period and keep in mind, even during a grace period interest charges will accrue on most loans. If you are called to active duty military service for more than 30 days before the end of your grace period, you will get the full 6-month grace period when you return from active duty. Private student loans – obtained from a bank, credit union or university – have different terms that vary from lender to lender. For example, Wells Fargo says payments begin 6 months after the borrower leaves school. However, some loans like Student Loan for Parents and the Wells Fargo Private Consolidation loan, payments begin once the loan funds have been received. Regardless of the source of the loan, Obama said students need clearer instructions on the repayment process. The Consumer Financial Protection Bureau (CFPB) will be looking into student loan servicing practices that can make paying back loans a hassle. Among the issues: industry practices that create repayment challenges, hurdles for distressed borrowers, and the economic incentives that may affect the quality of service. At the same time, the CFPB is also re-launching an enhanced version of its Repay Student Debt online tool to help borrowers figure out their options for affordable repayment. Student loans make up the nation’s second largest consumer debt market. The market has grown rapidly in the last decade. Currently there are more than 40 million federal and private student loan borrowers and collectively these consumers owe more than $1.2 trillion. The market is now facing an increasing number of borrowers who are struggling to stay current on their loans. The CFPB has heard from borrowers through its complaint handling, its Tell Your Story function, and from staff travelling across the country. 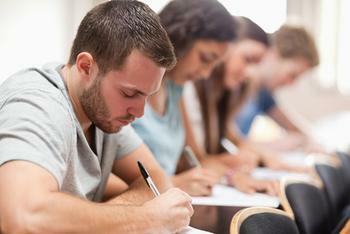 The agency has observed that many borrowers are experiencing significant student debt stress. Consumers have complained about billing problems associated with payment posting, prepayments, and partial payments. For example, borrowers report that payments may be processed in ways that make repaying student loans even more expensive. Other consumers have complained about lost records, slow response times to fixing errors, and a general lack of customer service. Often, consumers who have their loan transferred from one servicer to another report experiencing interruptions when receiving notices, billing statements, or other routine communications. The CFPB has also heard from distressed borrowers that student loan servicers may have difficulty helping them avoid defaults and delinquencies. Repayment roadblocks can worsen problems. Distressed borrowers complain that they are given the runaround when they ask for help, they have a hard time getting straight answers from servicing staff, and that the staff are untrained or unequipped to deal with their problems. Joyce of Fairmont, W.Va., tells ConsumerAffairs of the problems she experienced with Wells Fargo Education Financial Services, with loans she took out for her daughters. "All of the loans were set up on the deferment option as my girls were taking the loans over as soon as they found jobs," she writes in a recent post. "Since then, I've had nothing but problems. They sent statements out late and the due dates were 3 days from date I received it. This, of course, caused all of my payments to be late, because according to one of their CRS, all payments took 10 days from the date Wells Fargo received it to be credited to my account. When I called about this, I was told 'We don't have to send you a statement, and you are still responsible for making payments.' "
Industry practices that create repayment challenges: The CFPB’s inquiry seeks information about specific practices that could potentially create problems as consumers repay their loans. Hurdles for distressed borrowers: The agency requests information on whether servicers’ policies and procedures are resulting in struggling borrowers paying more fees or prolonging repayment. Economic incentives affecting the quality of service: The CFPB is seeking information on whether the typical ways that servicers are paid may indirectly lead to borrower harm. Application of consumer protections in other markets: The CFPB is analyzing whether there are protections in other consumer credit markets -- such as credit cards or mortgages -- that could inform policymakers and market participants when considering options to improve the quality of student loan servicing. Availability of information about the student loan market: The CFPB is looking at whether a general lack of transparency in the market may be contributing to consumer harm. The CFPB has re-launched its Repay Student Debt web tool, which offers a step-by-step guide to navigate borrowers through their repayment options, especially when facing default. The new version of this tool provides student loan borrowers with sample instructions to send to their student loan servicer to protect themselves against payment processing problems and auto-defaults. It also has information about how to request a lower monthly payment when experiencing financial distress. 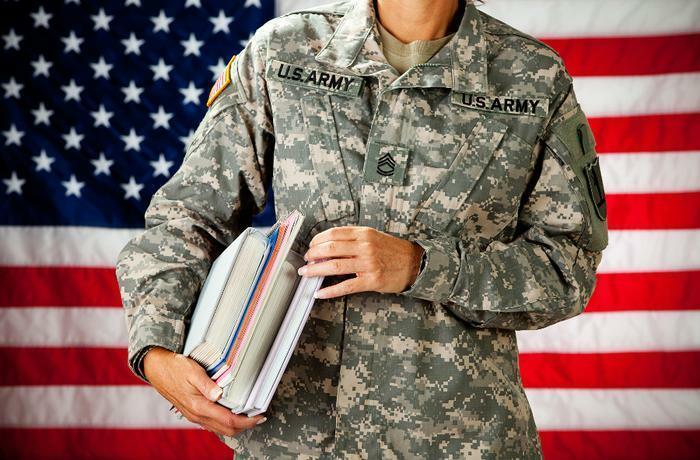 The U.S. Department of Education has reviewed four major student loan servicers to make sure they followed the law by extending the proper interest rates to active duty members of the U.S. armed forces. For the most part, it found that they did. The report said Navient, Great Lakes, PHEAA and Nelnet complied in the vast majority of cases with the Servicemembers Civil Relief Act (SCRA) as required by the Higher Education Act (HEA). The reviews closely examined active-duty servicemembers' SCRA eligibility between 2009 and 2014. They reveal that in fewer than 1 percent of cases, borrowers were incorrectly denied the 6% interest rate cap required by the laws. "For all of the sacrifices they have made on behalf of our country, our brave service members have the right to the benefits provided to them under federal law and should not be subjected to additional red tape to manage their student loans," said Under Secretary Ted Mitchell. "What's more, every student who has taken out a federal student loan should have the peace of mind that the Education Department's servicers are following the law and treating all borrowers fairly." The government says the laws for those in the military have streamlined the process for those students when they are called to active duty. Their loan rates are more or less automatically adjusted when they report for duty. Before, they had to apply for the lower interest rate and then prove they were on active duty. Navient's violations of the SCRA on federal and private student loans. Th report also presents the results of the review of Navient’s compliance with the SCRA for federally-held FFEL Program and Direct Loan Program loans it serviced under the TIVAS contract. For the period under review, the government found that in Navient's case, it notified 52 borrowers of their potential eligibility. Navient eventually granted the cap to 16 borrowers, including 6 who were not eligible. It denied the lower rate to 7 borrowers, including 1 who should have received it. The review found similar results for Great Lakes, PHEAA and Nelnet. The Department of Education said it is also expanding its review of compliance with the SCRA and HEA to the Department's seven non-profit servicers as well as commercial Family Federal Education Loan (FFEL) servicers. These reviews are expected to be completed later this year. Interest rates on student loans can vary widely, depending on the type of loan and the type of student that is borrowing. You can check current interest rates here. Nearly 78,000 members of the U.S. military will be getting checks ranging from $10 to more than $100,000. The checks represent excessive interest charges imposed by Navient Corp. when it was servicing student loans as part of Sallie Mae. The checks, totaling about $60 million, are scheduled to be mailed on June 12 and will average $771. Check amounts will depend on how long the interest rate exceeded 6% and by how much, and on the types of military documentation the service member provided. The payments are required by a settlement that the Justice Department reached with Navient last year to resolve the federal government’s first-ever lawsuit filed against owners and servicers of student loans for violating the rights of service members eligible for benefits and protections under the Servicemembers Civil Relief Act (SCRA). The United States alleged that Navient engaged in a nationwide pattern, dating as far back as 2005, of violating the SCRA by failing to provide members of the military the 6% interest rate cap to which they were entitled for loans that were incurred before the military service began. There are actually three defendants -- Navient Solutions Inc. (formerly known as Sallie Mae, Inc.), Navient DE Corporation (formerly known as SLM DE Corporation), and Sallie Mae Bank -- referred to collectively as Navient. The settlement covers the entire portfolio of student loans serviced by, or on behalf of, Navient. This includes private student loans, Direct Department of Education Loans, and student loans that originated under the Federal Family Education Loan (FFEL) Program. The department’s investigation of Navient was the result of a referral of service member complaints from the Consumer Financial Protection Bureau’s Office of Servicemember Affairs, headed by Holly Petraeus. The Department of Education is now using a U.S. Department of Defense database to proactively identify borrowers who may be eligible for the lower interest rate under the SCRA, rather than requiring service members to apply for the benefit. Many young people heading off to college are unable to secure student loans without a family member or friend co-signing for them. But co-signing situations often go awry and student loans are no exception. There are pitfalls for both borrower and co-signer. For example, in 2010 the Federal Trade Commission (FTC) estimated 3 out of 4 co-signers were left to pay off a loan because the borrower had defaulted. Having a co-signer on a private student loan can also be risky for the borrower. Let's suppose you needed a co-signer in order to get a private student loan. Maybe a grandparent volunteers. You received the loan and started making payments. But then your co-signer died. Many private college lenders have a provision in their loan documents that allows them to demand full repayment if the co-signer dies, even if the borrower is making on-time payments. It's called auto-default. But here's the rub. Once two parties come together as borrower and co-signer, it is very hard to separate. The Consumer Financial Protection Bureau (CFPB) Student Loan Ombudsman investigated procedures private lenders put in place to allow co-signers to withdraw, then looked at how many were actually permitted to do so. The CFPB analysis found that the lenders and servicers granted very few releases. Of those borrowers who applied for co-signer release, 90% were rejected. The CFPB report also found that most borrowers and co-signers are in the dark about a lender's criteria for being released as a co-signer. Consumers reported being confused about their eligibility for obtaining a co-signer release as well as not understanding why they had been denied. Most private student loan contracts continue to contain auto-default clauses, despite promises last year by several lenders they would discontinue the practice. The report shows almost none of them have. The report also expressed concern that borrowers are at risk when loans are packaged and sold as securities on Wall Street. While a lender may have pledged not to invoke auto default, the report says the investors who buy the loan can change that. In addition to auto-default clauses, the CFPB analysis found other potentially harmful clauses hidden in fine print of some loans including “universal default” clauses. Lenders have long used these clauses to trigger a default if the borrower or co-signer is not in good standing on another loan with the institution, such as a mortgage or auto loan, that is unrelated to the consumer’s payment behavior on the student loan. These clauses can increase the risk of default for both the borrower and co-signer. The report calls for a number of policy changes, including improving transparency around co-signer release criteria and examining potentially harmful clauses contained in the fine print.